It's 2015 and rearview cameras are ubiquitous. And the industry is developing technology that might allow for the elimination of the rear and outside mirrors altogether. But wait. A young designer named Chuck Jordan already thought of those innovations nearly 60 years ago. 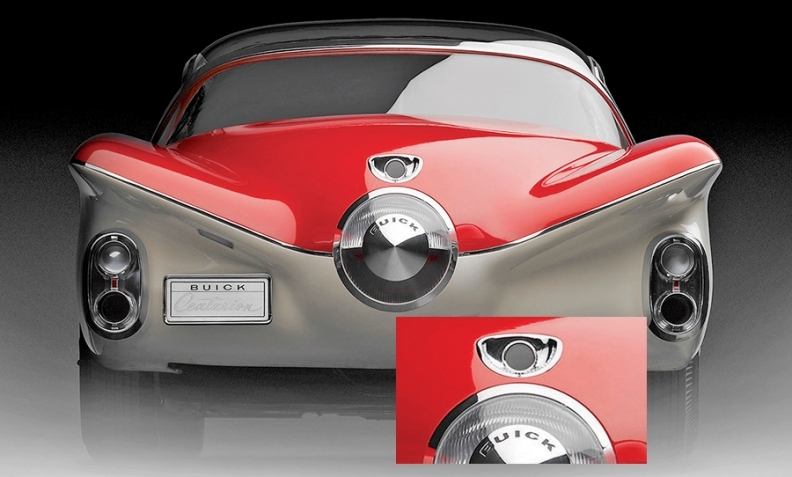 The most arresting feature on Jordan's 1956 Buick Centurion XP-301 concept was its transparent bubble roof. The rear camera, huge by today's standards, was mounted at the top-center of the jet-inspired trunk. The camera was designed to transmit images to a screen in the middle of the dash. XP-301 is on display at the Indianapolis Museum of Art as part of "Dream Cars: Innovative Design, Visionary Ideas," an exhibit running until Aug. 23. The show features visionary concept cars from the 1930s to today. "I was designing 1955 Chevy trucks and (Bill) Mitchell told me, 'Look, kid, you'll never get anywhere until you design cars' -- and he gave me the Centurion," Jordan said, according to the display card accompanying the car at the 2003 Concours d' Elegance in Pebble Beach. Jordan went on to become head of design at Cadillac and Opel and ultimately vice president of design for General Motors. Also appearing in Indianapolis are several other vehicles that pointed to a distant future. One, the 1936 Stout Scarab, is regarded as a precursor to the modern-day minivan. The Scarab, made by Stout Motor Car Co. in Detroit, was a forerunner to today's vehicles in another way -- it dispensed with body-on-frame construction and driveshaft in favor of a unitized body with a flat floor. Sadly, like many visionary vehicles, the Scarab never went into mass production.